Forever young at heart and full of good spirit, Patricia Ann Koetsier leaves us with beautiful memories and lots of love. In her 85 years of life, she inspired her friends and family with her faith, kindness, and generous support. Pat's admirable qualities began to grow in 1933. This was a time when the economy and weather significantly impacted people all over the world. The year may also have gone down in history as the worst part of the Great Depression with the unemployment rate peaking at over 25%. The weather did not help matters, as horrible drought conditions combined with strong winds created terrific dust bowls ruining crop production. Criminals faced a lockup in one of the newest, and indeed most interesting, federal penitentiaries of its time by the likes of Alcatraz. Thankfully, the invention of the Drive-in Movie Theater kept many minds distracted with the joys of entertainment found in a new way. Many couples attended these new venues to watch the premiere of the movie, "King Kong." The sweet and adorable Shirley Temple was a popular household name, and mom's everywhere were throwing the newly invented chocolate chip cookie recipe into their warm ovens. Closer to home, in Grand Rapids, Michigan, Gerrit and Sadie (Thomasma) Vanden Bosch were preparing to meet their sweet baby girl. 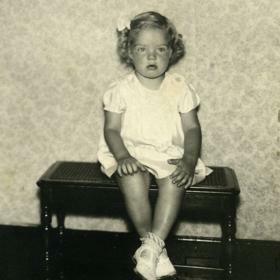 Patricia Ann made her debut into the world on June 10, 1933. Her sister, Geneva, helped welcome her home. Before too long, Patricia and Geneva became sisters to their little brother, Ron. Just like that, the family was whole and complete. The Vanden Bosch family planted their roots in the NE side of Grand Rapids. Patricia, who went mostly by Pat, was close to her brother and sister. They spent time playing and creating many childhood memories together.  The family built a solid foundation on their Christian faith which impacted Pat throughout her lifetime. The church was an essential part of their bond as a family. This same faith gave them the strength to lean on the Lord when Pat's father passed away. She faced this tragic time at the young age of 13 years old. Holding the memories of her father close to her teenage heart, she found goodness in the world again. Her sister Geneva also died at the young age of 33. Pat also had the support of her Christian education family, for she attended Christian High School from which she earned her diploma. After graduation, Pat found employment in a few different office settings. Now that she had officially entered adulthood, her heart was open to the idea of love. As fate would have it, she met the man who would eventually become her beloved for life at a Coca-Cola Company Christmas party. Their first meeting created a quick spark. His name was Robert Jay Koetsier, and the sweet couple began dating almost immediately. Soon, wedding plans were in the midst. 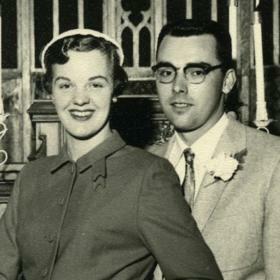 They exchanged vows on May 20, 1955, at East Leonard Christian Reformed Church. The newlyweds purchased their first home together located at 1115 Powers NW. After some time passed, they moved to a house they built on Charlotte NW. It was in this home they began growing their family. Four children eventually graced the house on Charlotte. Karen, Mary, Bob, and Dan shared good times and sometimes noisy times under that roof. They definitely kept their parents busy. Thankfully, Pat stayed home to help keep things organized and ensure happiness. 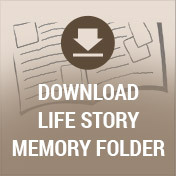 The organization was important to Pat, as she certainly had strict routines. As the kids matured, she relaxed a bit, however. As a mother, she took great pride in caring for her family. She was an excellent cook, and the family will greatly miss her lasagna, applesauce jello, meatloaf, and cheesy potatoes (among many other family favorites). Also, the kids especially loved her traditional Sunday cake. She was equally talented outside of the kitchen. Pat had handy skills as a seamstress. She made many beautiful and fun articles of clothing for both her daughters and herself. Many lovely artifacts still exist showcasing her knitting and crocheting skills too. 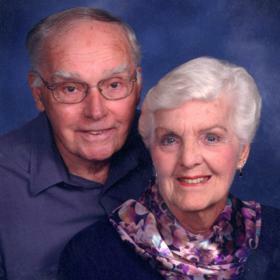 Bob and Pat stayed true to their faith in God together with their children, as they were active members of Calvary Church. Their church family consisted of many good friends. Sundays were great days when they spent quality time at the church - often going twice. Pat enjoyed Bible Studies and Women's Retreats as well. The Koetsier family experienced many fun adventures together. 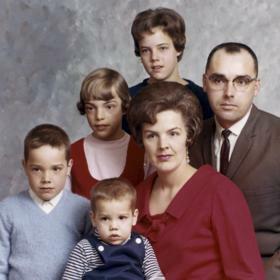 When the kids were younger, they found pleasure vacationing on Glen Lake in a rented cottage. The adventure became even more memorable when they transitioned to a popup camper. The ability to be mobile lent itself to finding new places to explore. Ludington State Park and Grand Haven were definitely at the top of the list. One by one, the kids began school giving Pat a chance to go back to work part-time. She chose to work at Sears in Standale, then on to Nabisco and Novacare throughout the years. The work was good for Pat, as she always enjoyed some independence and the chance to socialize. As the years passed and the kids moved out, new opportunities opened for the empty nesters. She and Bob upgraded their camping experience with a travel trailer which they enjoyed for many years - they only stopped a few years ago. They also decided to build a new house which was located nearly across the street from their Charlotte home. In time, Bob retired making time for even more fun times together. The great state of Florida provided a warm escape during the cold Michigan winters. They liked it so much there that they purchased a home in Palmetto. Just as in Michigan, Bob and Pat made many friends there. Pat loved to be social. She was forever young at heart, talkative, and engaging. Her social calendar in Florida included potlucks, BINGO, and visiting the local flea markets. While relishing retirement together, the gift of new life surrounded Pat and Bob. Soon, they welcomed the gift of grandchildren. Each grandchild blessed Pat's fun-loving and youthful spirit. In her lifetime, it was not unlike Pat to continue to ride her bike and even willingly brave Space Mountain when she visited Disney! Each grandchild was a celebration because Pat loved her family dearly and enjoyed watching them all grow. When she could, she spent time and cherished each moment with all of her grandchildren. Pat's sweet tooth delighted her grandchildren. There were always cookies, brownies or ice cream for the grandchildren when they came to visit. When the grandchildren were away, there was still ice cream, for she and Bob enjoyed the indulgence almost every evening. As time went by, Bob and Pat appreciated their loved ones, so they established a Saturday evening routine. An open invitation stood at Mr. Burger where Bob and Pat ate dinner at 6:30 while looking forward to catching up with family and good conversation. During these dinners (and always), Pat was willing to listen to whatever was going on at the time. She heard without judgment and was quick to offer support when it was needed. Pat had a nurturing spirit, and she consistently supported her friends and family through prayer. One of Pat's greatest legacies was her ability to keep the faith and lead by example, for she walked her faith as well. In her times of solitude, Pat had a variety of interests. She loved word games - "Jeopardy" and "Wheel of Fortune" were part of her nightly routine. Friends and family knew better than to call during that hour. The latest technology did not escape Pat's interest either, for she had an IPad and knew how to navigate it. When all else failed to entertain, Pat eagerly looked forward to baseball season as an avid Detroit Tigers fan. Though Pat appreciated her independence, about a year ago, she realized she was no longer able to care for Bob on her own. She kept a watchful on him, however, visiting him often. She also continued to keep up attending church activities and dinners with family. 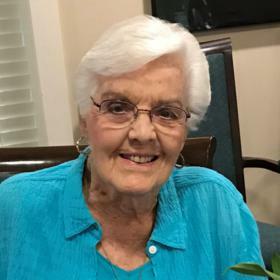 Sadly, Pat went home to be with her Lord and Savior on April 9, 2019. Her kindness, along with her wonderful sense of humor and full appreciation for life, will stay with us in our memories of her. She will never be forgotten, and we will miss her dearly.